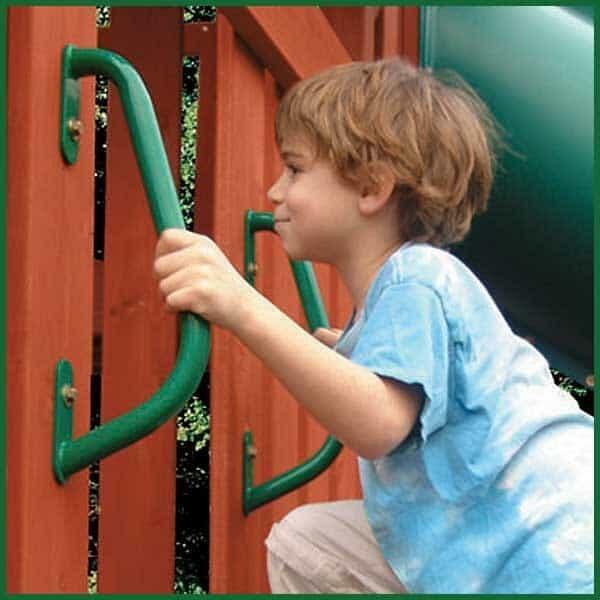 The newest and most innovative of all of the handle grips is made of powder coated galvanized steel and is made to stand up to heavy use and weather. Angled specifically for an ergonomic design makes climbing up and down the steps a breeze. Ergonomic design provides superior gripping capability.